When it comes to sheer dependability, few game franchises have met as consistent a level of quality and success as Tales. Sure, it might never be as popular as Final Fantasy or Persona, but series fans know what they’re in for when they pop one into their system — a smooth ride through JRPG territory with a ton of character camaraderie and a fast-paced real-time combat system. With the fifteenth installment having reached North American shores, niche fans of the genre find themselves at the tail end of a trifecta on PlayStation 4, following in the footsteps of the superb Disgaea 5 and Dragon Quest Heroes earlier in the month. Of course, this one’s available for the holdouts still on PlayStation 3, too. So I’m a Frog to You? Tales of Zestiria’s story is a little simpler than those of past games, but there’s nothing inherently wrong with that; in a way, this is a nice return to basics that eschews plot complexity in favor of greater character development. Sorey, a youth who has grown up among magical beings called seraphim, has a level of “resonance” that exceeds most other humans. After a chance encounter with another human leads him out of the seraph village for the first time, he unwittingly becomes the Shepherd — a messiah-esque role that calls for him to purify malevolence throughout the world. Of course, he assembles a ragtag group of colorful seraphim (and a couple humans) in the process, all of whom are quite charming. It is worth mentioning, though, how long it takes for the band to get together in any significant way. 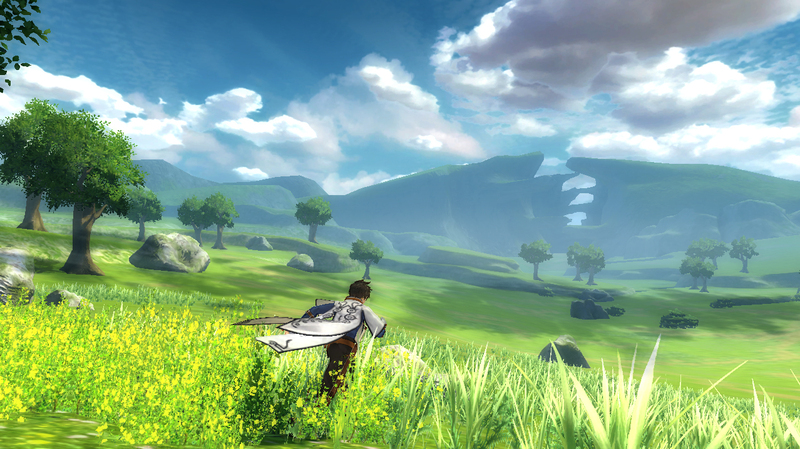 The first five or so hours of Zestiria are an absolute slog, bogged down by the same sort of exposition and limited gameplay that plague many JRPGs. It doesn’t help that the localization is a bit more awkward this time around: early on, some long pauses and dissonant dialogue make it easy to tell that the voice actors recorded their voice acting separately, and the writing isn’t as consistent as it’s been before. One inexplicably bizarre fight between Sorey and his water-seraph pal Mikleo ends with the latter saying, in a hurt voice, “So I’m a frog to you?” In spite of these stilted first impressions, though, there is a marked improvement in quality once you move past the beginning stages. These characters are spirited, funny and full of personality, and their presence in the skits is as joyfully irreverent as you’d expect. The same holds true for the gameplay, which eventually reveals itself to be much deeper than past titles in the franchise. 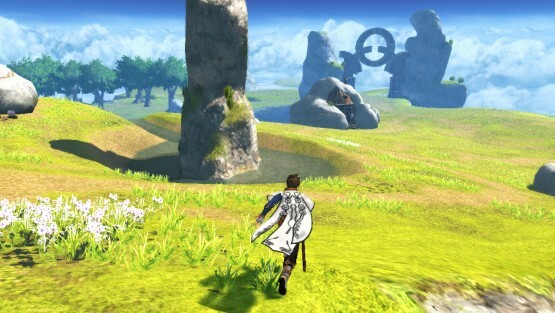 For one thing, the areas you explore are an absolute breath of fresh air after Xillia and Xillia 2’s tight, formulaic maps: these are open landscapes littered with items to collect, caves to explore and enemies to fight — all on a bigger scale that feels more natural and organic. Beyond that, the customization options available are truly staggering. These work around a complex and rewarding set of equipment-based systems, which are admittedly daunting at first: you can fuse two pieces of like gear together to create a better one (a holdover from Graces); stack your equipment’s skills to gain a cumulative benefit; and even assign adorable creatures called normin to your weapons and armor to learn new skills. Oh, and that’s just for when you’re in battle. Characters can also learn a series of passive skills that can benefit you in the field, whether that’s detecting nearby treasure chests or periodically cooking up a snack for the party to enjoy. Even once you’ve got your perfect set of skills and equipment, though, you’ve still yet to wrap your head around Tales of Zestiria’s combat system. This one’s quite a departure, featuring a heavy focus on human-seraph pairings. In fact, seraphim can’t fight at all without a corresponding human party member, making party arrangement a bit more restrictive than usual. 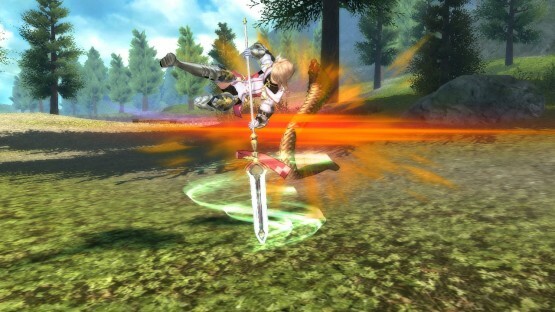 To account for that, you’re able to switch seraphim on the fly by hitting their corresponding direction on the d-pad. There’s also a new mechanic that allows you to fuse a human with their currently-assigned seraph called armatization — and unlike past transformations, these armatized forms are easier to trigger and more balanced when compared to your normal form (reducing yourself from two fighters to one does, in fact, have some strategic consequences). This new battle system might give series veterans a bit of a headache first, but it’s possibly the most interesting variation the Tales universe has seen in a long time. Seeing that this entry has received a dual release on both PS3 and PS4, one of the big questions on players’ minds is likely to be whether or not there’s a significant difference in presentation between the two versions. The answer is, to be honest, that both versions look pretty terrible. Not every game has to have amazing-quality graphics, of course, given budget limitations and other factors — but this is really pushing it for a game in 2015. Sludgy textures and clunky animations are bad enough, but then there’s the hilariously dissonant drop in framerate that enemies experience when they’re too far away from the camera. It’s obviously been done to save computing power, but the effect is noticeable and jarring, and only adds to the cumulative sense that you’re playing an uprezzed PS2 game. Visuals are also the one area where the expanded maps suffer; look down on another part of the field, and you’ll see vast swathes of repeating tiles. Thankfully, other aspects of the presentation aren’t as dated. One of these is the character design, which is uniformly excellent — and a pretty cool achievement considering that multiple designers worked together on the cast. The anime cutscenes are great as well, although it’s a bit of a shame the vocals have been stripped from the opening song. Motoi Sakuraba and Go Shiina’s collaborative effort on the soundtrack is impressive, though, and there’s no denying that the latter — with his blend of orchestral music and guitar — has been sorely missed since serenading us with Legendia’s OST. “New Power Awakens” is insanely good. Go listen to it right now. 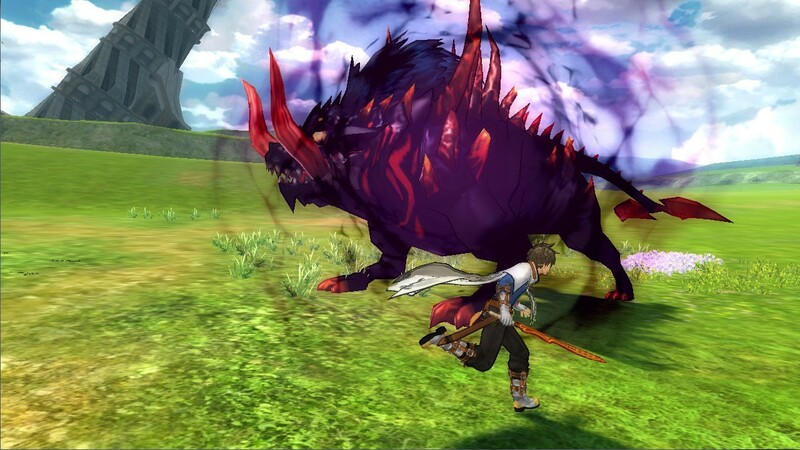 Tales of Zestiria completes the trifecta of great JRPGs on PS4 this month. Fans of the Tales universe and newcomers alike will love the fifteenth entry’s complex, varied customization options, revamped combat system and lovable cast. The graphics are primitive and the localization is sometimes a little shaky, but this is a thoroughly enjoyable quest with a ton of energy and heart. If you’re already embedded in one of the other great role-playing experiences on Sony’s platform, Sorey’s adventure is worth looking at as a follow-up. If you’re not, this is a great place to start adventuring this fall. Review copy for Tales of Zestiria provided by publisher. Reviewed on PlayStation 4. For more information on scoring, please read our Review Policy here.